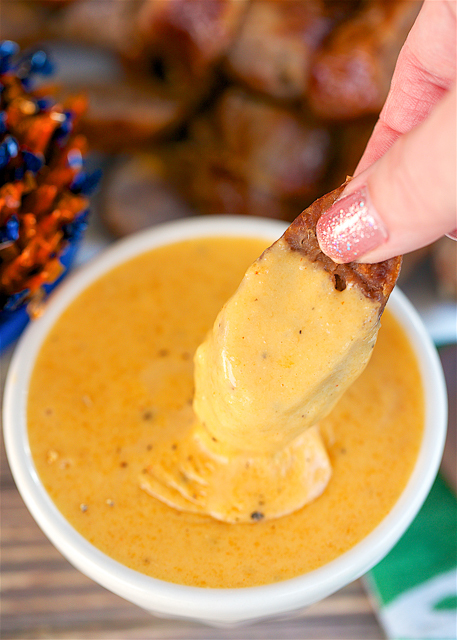 Beer Cheese Sauce - CRAZY good! Beer, cheese, flour, worcestershire sauce, dry mustard and paprika. Takes less than 5 minutes to make. Tastes just like the beer cheese sauce from our favorite Irish pub. Great with grilled sausages!! College football is here and pro football is just around the corner! It is seriously the best time of the year!! If you are like me, you are gearing up for some tailgating and football parties. Today's recipe is PERFECT for watching all the games this weekend or for your upcoming Fantasy Football Draft parties! 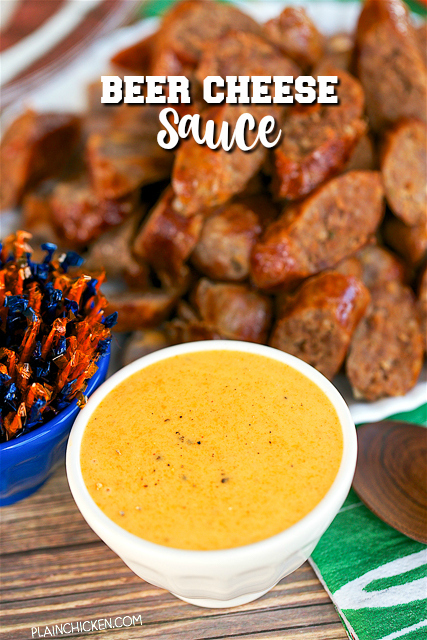 These Grilled Sausages with Beer Cheese Sauce were ridiculously good. We've really been into beer cheese sauce lately, so I decided that we needed to start making it at home. The Beer Cheese Sauce only has a few ingredients and takes less than 5 minutes from start to finish. Dangerously easy!! The Beer Cheese Sauce tasted just like the one we ate in Savannah last week. YUM! 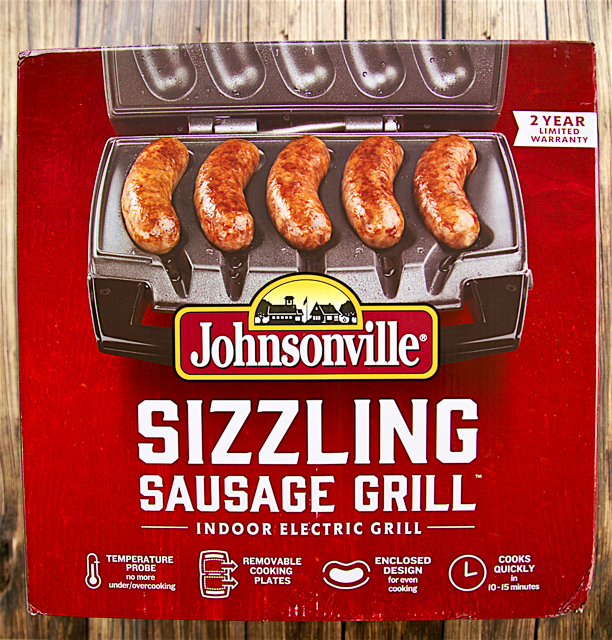 The grill is designed to perfectly cook up to five uncooked Johnsonville sausages or bratwurst flavors at a time. You can cook one, or five, sausages at a time - so convenient for dinner and parties. The grill is so compact, you can use it indoors, and grill from the comfort of your own home, apartment, RV or anywhere with access to an electrical outlet! We are using it this weekend in the parking lot at our tailgate!  Visit http://bit.ly/SizzlingSausageGrill for more information. Get your own Sizzling Sausage Grill by using promo code “sizzle2” for $20 off! In a small saucepan, heat beer over medium-high heat until it bubbles. Stir in flour and cheese. Whisk until cheese has melted and is smooth. Whisk in dry mustard, paprika, salt and pepper. Remove from heat. To thicken the sauce, add a flour a little bit at a time. For a thinner sauce, add small amounts of beer until it reaches the desired consistency.